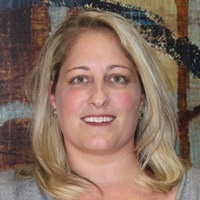 Heather has been with Tax Help since 1997. She graduated with a double major in business and economics from University of Nebraska at Omaha. She holds her registered tax return preparer certification, series 6 securities license as well as her Life & Health insurance license. Heather is the primary support for all of our financial services. Heather is also an avid cook and enjoys spending time with her family and puppy Franco. FUN FACT: Heather’s favorite “holiday” is Fall Back Daylight Savings Time!